Let's give a big round of applause to massive environmental footprinting. Seriously, hops from New Zealand flown in to make a batch of beer. Who am I to talk; I've ordered beer bottles from Belgium. At least it tastes really good. The nose was uneventful with only the faintest mix of citrus, pine and floral spices. The very hop forward taste gives a lot to think about. I'm thinking..loads of pine, floral and orange citrus, but where is this slightly burnt flavour coming from? It's good. Maybe the bready and caramel malts are carrying this sensation? The pondering carries on as the burnt pine lingers for a long time. Could it be charred orange peel? Excellent beer! This is something fun, a traditional root beer recipe. Sarsaparilla (Smilax febrifuga) was a common ingredient in old root beer concoctions. Traditionally, the root was used and was thought to help treat rheumatism, leprosy and syphilis. The saponins of sarsaparilla root can act as laxatives, diuretics and expectorants. There are other traditional root beer ingredients in this brew, so how does it taste? Two words: delicious, delicious. Not your usual ale; this beer is something unique. The aromas are full, spicy with nutmeg and that real rootbeer smell. Not that A&W crap but the good Henry Weinhards stuff. This beer's tastes are all herbals and spices. The spice rack flavours include: cloves, nutmeg, dusty roots and cooling menthol. At the end, a dusty ginger and nutmeg taste is all that remains of this effervescent brew. I couldn't drink a lot of it, but I'm glad to have tried it. Well done! This is great! Two of my favourite things together: coffee and beer. If there was only a donut beer I would be a very happy blogger. From the nose you know this beer should not be consumed before bedtime. It is heavy with dry coffee grounds with a little chocolate to increase the xanthine aromas. A full mouthfeel of French press coffee emits enough vapours to actually raise your eylids. The lightly added bittersweet chocolate give a nice astringency. A dry and powdery linger of coffee and cocoa remind you that you want another sip. All proceeds from the sale of this beer go to the Ancient Forest Alliance.I like that, but how does the beer taste? I have not been enthused by the Phillips releases this year. This one I like. It has a simple nose: dry, ashy with burnt nut aromas. There is quite a bit of astringency from the roasted flavours. The taste is simple- yet complex. At first you get a dry and burnt/roasted sip of powdered cocoa and pecans. Then the slight fruitiness arrives followed by their friends toast and chocolate coated peanuts. Their impressions of powdery, burnt almonds don't intrude for long. The Ancient Brown Ale is not a powerhouse of flavours but I liked it. I have learned a lot from my little girl. Rarely do my reviews start with fatherly wisdom crap, but I will have a point soon. One day, my little girl's classmates were sitting around their teacher talking about what they liked, and disliked, about school. The usual opinions came up: I like storytime, I hate math, I like recess and so on. All the little ones adamantly agreed that they liked recess and lunch break the best. That is until my girl raised her hand and said that she did not like recess. The teacher was puzzled and asked why? 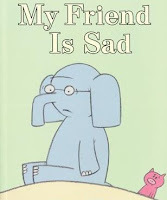 It was hard to find my classmates on the busy playground, my little one mentioned. Slowly, other hands went up. Her fellow classmates had the same issue with this (supposed) unanimously fun event. The teacher was puzzled, but worked out a solution to help them find each other on the playground. I am getting closer to my point - pinky-promise. At a CAMRA beer judging event, I was seated with two elder statesmen of the Victoria craft beer scene. After a respectful kowtow, I quietly sat down and awaited the first beer to judge. It arrived and was sampled by all of us. They talked about the interesting flavours of the beer, it's richness, complexity and how it was a good example of the style. My sip gave me pause; this beer was clearly infected and tasted like crap. A moment of doubt was focused on my palate. Then I remembered my brave little daughter. Out of my mouth blurted the words,"Yuck! This beer is off. Can you not taste the vinegar?" The honourable others were perplexed, but took another sip. They too agreed with my opinions of this beer and proceeded to document their ill findings. This brings me to the review of the new beer my Salt Spring Island Harvest Moon ESB. Perhaps I got a bad bottle, but others have confirmed my thoughts from other bottles in different cities. This beer is bad. I hate to say anything bad about anybody, but I gotta tell it like it is. The aroma comes across with hints of vegetal (DMS) and caramel. It is actually boardering on butterscotch. A medium to full mouthfeel was oddly creamy and slick for an ESB. Perhaps I had not tasted an ESB in a while. Nope, I had sampled a Fuller's ESB at Clive's Lounge earlier that evening. BTW the Fuller's is absolutely delicious. Each sip was disappointing, this was not an ESB. There was no rich fruit/berry flavours. Nor was there any nuttiness nor caramel aromas. It actually tasted like a plain golden ale, except the vegetal and butterscotch ruined it. There was also no hop presence to speak of. Half the bottle was dumped down the drain. Perhaps the bottle should have been returned to the store; I'm not confrontational enough. It is not as though I have not tasted an ESB in my life. Boundary Bay ESB, Naughty Hildegard, and Anderson Valley ESB share no similarity to this beer. I`m sorry, but I didn`t like it. This beer is as dark as my heart. You can probably guess what it smells like. You're right; roasted chocolate and pale grass. The sip has that roasted astringency up front with more alcohol warmth than you might expect. If you like it roasted, then this one will not disappoint. The top of the mouth tingles with wood, vanilla and over toasted whole wheat bread. It might have scored higher with less roast. Did I mention it was very roasty? At least it was better than the Pacific Western Schwarzbock. I'm still mad that they released that in cans after I bought the limited edition boxset! Just a quick review. The nose was oddly vacant with only a hint of sweet citrus. The taste makes it all worth while. Big flavours of bubblegum, cotton candy, herbal and grapefruit. Slick is the feeling as this brew blasts you upfront with all things PNW hoppy; then the warming caramel malts settles things down. An excellent IPA, get it if you see it. Well this is a relief. An article in the journal Clinical Gastroenterology and Hepatology followed the occurrence of acute pancreatitis (AP) in Germany. AP is a sudden swelling of the pancreas and is often caused by alcoholism. I have seen a case of AP during my hospital internship; it looked like someone was about to give birth to a keg of beer. Researchers at the University of Munich followed hospital admissions with AP at various times during the year. They found that the incidence of AP did not increase during Oktoberfest. However, the incidence of AP was higher than previously described and there was an increase at another time of year. There was actually an increase in AP before Oktoberfest. This coincided with the last 18 days of the Bavarian summer holidays. This was consistent with another study that found holiday periods increased the incidence of AP in Finland. There were several theories on these findings. AP is generally caused by chronic alcoholism and might not be increased by a 16 day event. Patients might develop AP after leaving Munich; this is unlikely because AP develops rapidly over 48 hours. High alcohol spirits tend to increase the risk of AP more than low alcohol beverages like beer. Risk factors for developing AP are being male, younger, taller, chronic intake of alcohol and nicotine and have a lower body mass index. When I heard about this beer two thoughts went through my head: are they nuts and yippie! I have had a few Flanders sours and these are not approachable beers. The flavours can be quite intence: mouthpuckering sour, tart with hints of vinegar and cherry syrup. Hence, I thought they were nuts to brew a beer that people might think is off flavoured. The YIPPIE reaction was from the happiness in learning that a local brewery was going to brew a beer to challenge the local palates. I had a little warmup at the Alibi Room with Storm's Imperial Sour Flanders Red last weekend. This beer was excellent and impressively sour, yet sweet. I had a preconceived notion of what this should taste like, luckily my biases were unfulfilled. Often Flanders reds can be intensely sweet, the Bird of Prey is not. The nose is spot on with various fruits like cherries and currants. Added aromas of tart fruit vinegar provide curiosity. This brew sparkles when it hits the tongue and provides a bit of alcohol warmth. Flavours are not as intense as I thought they would be. Pick up a Duchesse de Bourgogne or Vichtenaar for comparison. The Bird had more wood flavours than I expected. It was very dry, ample tannins, and notably astringent. 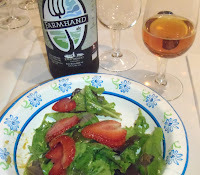 Flavours of oak, tart cherries, sour currant and a good vinaigrette were unmistakable. This beer was great! I look forward to aging a few bottles in hopes that the wood flavours will fade and more sweetness appears. I am equally excited to try future yearly releases as the barrels should impart fewer woody flavours. Just do it. Just do the review - get one more ahead. No matter how crappy it is..tick tick tic. My readers are familiar with my crappy reviews.All 90+ of them, yes I keep track. I'm goal orientated remember? Ok.focus. I'm a little bit blurry from the beer- or is it from playing Left4Dead2 for over an hour? Most likely the game, we tried a new map..SHUT UP and focus. I never expect great things from Fernie brewing; this is a fault of mine. Maybe I am held up on the name. I've been to Fernie, BC. Honestly the best part about the town was the road sign that said "please visit us again". That again is not fair- it is near... Well, the sign was very nice. The Huck is a huckleberry wheat ale. It did not give a good first impression with it's uneventful wheat and grass nose. There was a slight berry fruitness involved. Taste is very important. WOW, that last sentence makes me sound so stupid. It tastes like every other wheat beer you have sampled: cereal, grass, yeast and citrus. The Huck added a suitable tart huckleberry flavour. It was neither too tart, nor overly syrupy. Your linger was tart yeast with an off sweet berry tongue caress. This is the perfect summer beer. If you see their Sap Sucker Maple Porter: get it! No much really going on in Victoria for beer these days. There is the Hermannator. I am really looking forward to the Bird of Prey Flemish Sour by Driftwood. That should be out soon. What is it about Ontario beers in tall boy cans? Pretty standard stuff here. Nose is lightly chocolaty with grass. The slightly creamy mouthfeel delivers a malt chocolate, roasted sweetness that ends in a mineral hop bite. Very drinkable but not too exciting. The Wellington County was better, but the battle was not very fierce. Still committed to getting ahead on all my reviews. Only about 300 more to go. Everything about this brew is big. The nose is big, perhaps a bit heavy on the alcohol side but dark fruits, roast and citrus still peak through. Noir grabs your tongue early and hits with a one-two combination of alcohol slap and citrus hop bite. Once the burn vaporizes away, you get a complex mesh of plum, raisins, cocoa and dark sugar. You are visited once again in the aftertaste by an unrelenting spicy, citrus hop linger. These dinners get better (and easier) with each attempt. As always the event was held at the beautiful Liquor Plus on Douglas Street tasting room - Thanks Rod. The format always involves five volunteer chefs, four local brews and something special from my cellar. Course one was prepared by Simon. Once again he tried to poison me; this time it was with pumpkin stew. Truly a seasonal dish with all the needful flavours: pumpkin, nutmeg, cloves and other warming spices. The pairing was another comfort food: Moon Under Water's Blonde Ale. 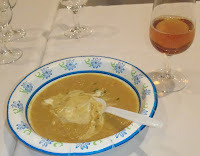 The creamy texture and notable spicy hop snap was a perfect pair for the creamy stew with its spices. Thank you Bonnie from MUW. The next item for enjoyment was a salad by Terry. Organic greens and arugula were adorned with a simple dressing of olive oil and red balsamic crema. Don't forget the strawberries, sliced almonds and cracked black pepper on top. Our pairing for this was Driftwood's Farmhand Ale. 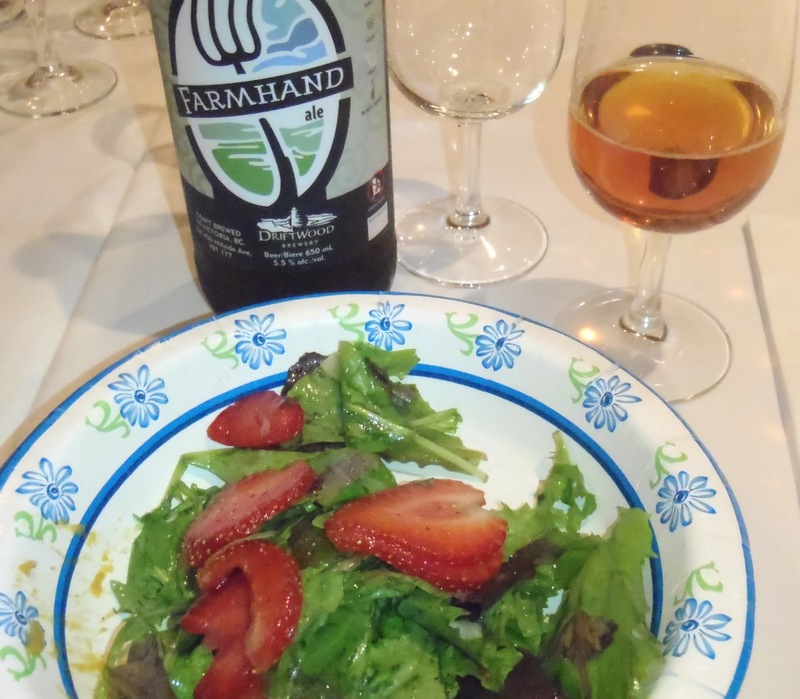 The slightly sour/tart farmhand was a nice mix with the vinegary sweet balsamic. Black pepper flavours came from both directions. Thank you Driftwood for the contribution. I had seconds of both. Things were building to a crescendo with the next course prepared by Jen (Mrs. Left4Beer). 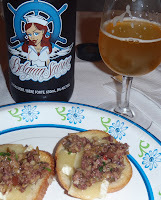 Even the name sounded great: Two olive tapenade on brie crostini. The pairing for a salty/fatty olive dish was obviously a good saison. Thank you Lighthouse for offering some Deckhand Saison for this event. The warming, spicy and tart Deckhand did wonders to draw out the complex and rich flavours that only brie and multiple olives and offer. For those who like the spice, Michael always delivers. This time it was either a vegetarian or meat chili. If the stock chili wasn't spicy enough, Michael brought additional hot peppers and chilies as toppings. 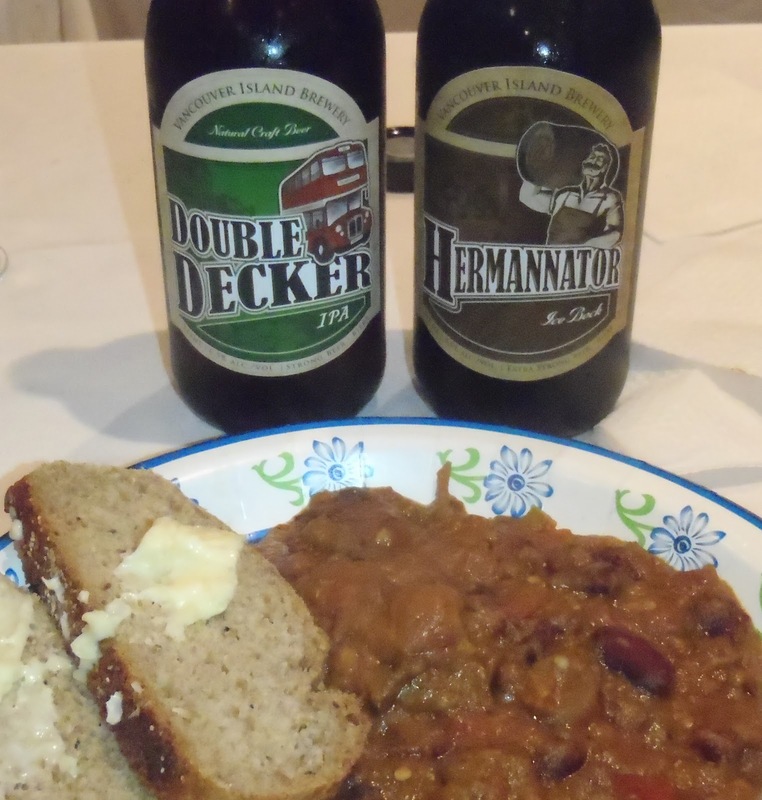 For a spicy dish I go with my favourite double pairing, a malty beer and an India Pale Ale. Our friends at Vancouver Island Brewery provided options: Hermannator ice bock and Double Decker IPA. Malty beers are perfect for calming spices while IPAs tend to enhance the warmth. Many guests learned that blending the two beers made a pretty good Cascadian Dark Ale. Did I mention that Michael also made bread using spent grains from homebrewing? Finally the moment everyone was waiting for: dessert. 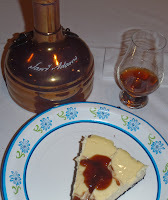 Chef John took a bold step and attempted his first plum cheesecake with a ginger/plum sauce; it was a success! This was a perfect pairing with the cognac, dark fruits and spicy alcohol vapours that defines the Utopia. I was lucky enough to win a bottle in the LCBO lottery a couple of years ago. As always, we chatted until the staff kicked us out. A safe trip home was not a problem thanks to Dial a Driver Victoria. Let me tell you a little secret; there really is no wrong pairing when you have good beer, great food and close friends together in the same room. Whatever shall we do for next year? Left4beer is sad. It seems horribly pompous to feel sad after a great beer party. Last weekend was EPIC beer dinner #4 and my 40th birthday. We had 20 guests, 4 great local beers, five excellent courses and a Samuel Adams Utopia for dessert. 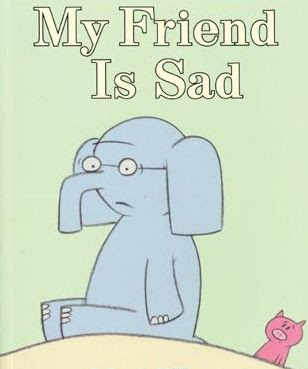 So why am I sad? Perhaps it is that I had hit a beer geek plateau. Utopia - done. Westverleten 8&12 - done. Every Trappist beer has passed my lips. Sampled some extreme Brewdog beers. Drank a few Pliny the Elders. I've sampled a Dark Lord at Dave's house. Are there anymore benchmarks for beer geekness? Did I mention that I'm tried the Beer Geek Weasel? Once I've attended Oktoberfest that seems like it. How every can I climb the next rung in the ladder? I so need to get a life- maybe Ebay has one? Seems rare that I would give a lager a 4 point rating; this one was nice. The nose is as you would expect with straw, honey, floral and a hint of citrus hops. Telegraphing the taste is expected but the spicy hop flavours were a welcome treat. Again on the plus side - clean with low vegetal. The bright effervescence left a pleasing herbal aftertaste.